Hello there, it’s Heather from Thicketworks! Today we’re going to test out a recipe for aging galvanized metal that has been making the rounds, and I’ll share one with you that I’ve used for awhile. Hazardous materials: Be sure to follow all safety warning on product labels…protect your skin and eyes. Work in a well ventilated space (preferably outdoors), and keep all chemicals away from children and pets. Do not mix the Lysol with the home-made patina solution: bleach and ammonia in combination are dangerous. Work with each method separately. 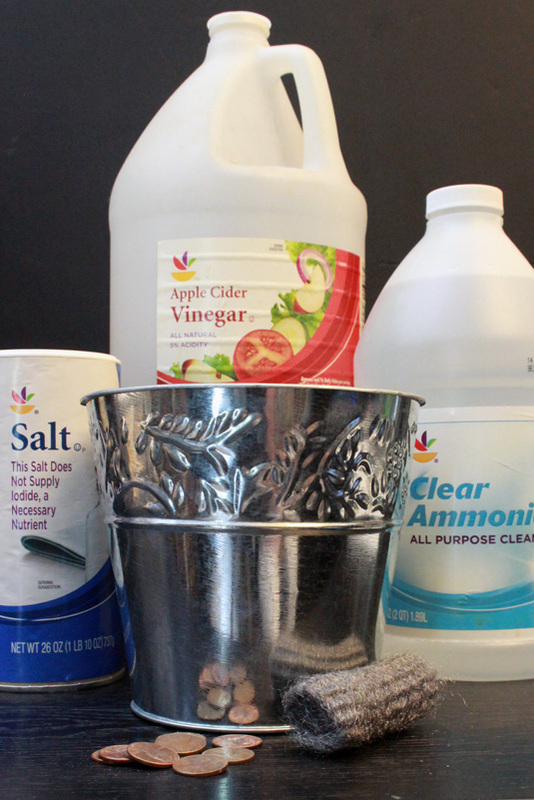 If you are especially sensitive to odor, skip the home-made patina solution. Your safety is more important than any faux finish! 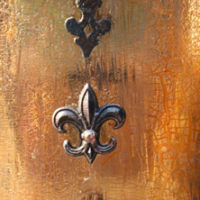 I’m always looking for great patina formulas, and am thrilled with the results of this experiment! It’s exciting to get to share this with you today – I did a comparison test for us, so you can determine which method you prefer. Rough up the surface of your item with the sandpaper. Try to get into all the nooks & crannies as best you can. NOTE: Be sure to wear a dust mask – we don’t want to breathe the dust created by sanding! 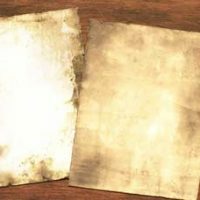 Once your item has been sanded, wipe the surface down with a damp rag. Wearing your rubber gloves, spread an even coat of Lysol Cleaner over the sanded surface. For my experiment, once the pail was coated, I slipped it inside of the other pail to contain the mess. Wash your hands, and go about your business for at least 8 hours. (I left mine for overnight, so as to resist temptation). You probably have WAY more willpower, so exercise it! Grab your plastic mixing bowl, don your rubber gloves and eye protection and assemble your ingredients. Put on your best mad scientist face..
Once your evil smelling stew has brewed for a couple of hours, it’s time to put it to good use: place your prepped galvanized item in an open plastic container. Working outside, away from pets and little ones is a good idea. Note: the mixture can harm plants, so be careful! Grab an old rag…make sure it’s large enough to drape comfortably over the entire surface of your galvanized victim. Soak the rag in the patina solution, wring it out just a bit, and cover your item with the wet rag. This solution will discolor wood surfaces, and probably many other things, so be careful. Make sure that the edges of your rag are safely tucked within the plastic container, so that all the drips are safely contained. Exercise that willpower and watch a couple of movies, or something. Unveil your freshly aged pail, wash your rag & plastic container, wash the pail carefully, and do a happy dance! 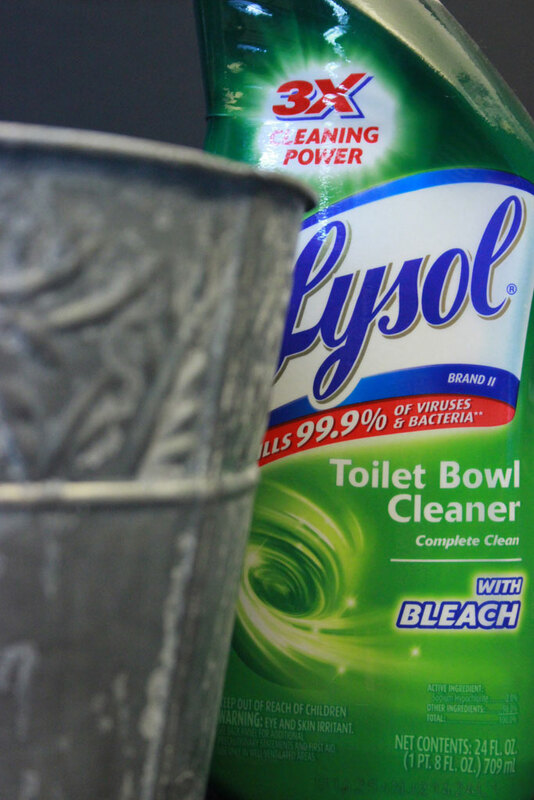 The pail in the foreground below was aged using the Lysol method. The pail in the foreground below was aged using the evil smelling vinegar concoction. Pros: You get to make a patina solution that will help age many surfaces. You probably have all the necessary ingredients in your cupboard right now! Conclusion: each method results in what I would call a great patina, and each will continue to oxidize over time. If you want to ‘halt’ the oxidization process, seal your item (inside & out) with a high quality spray sealer. It’s up to you which method you prefer. 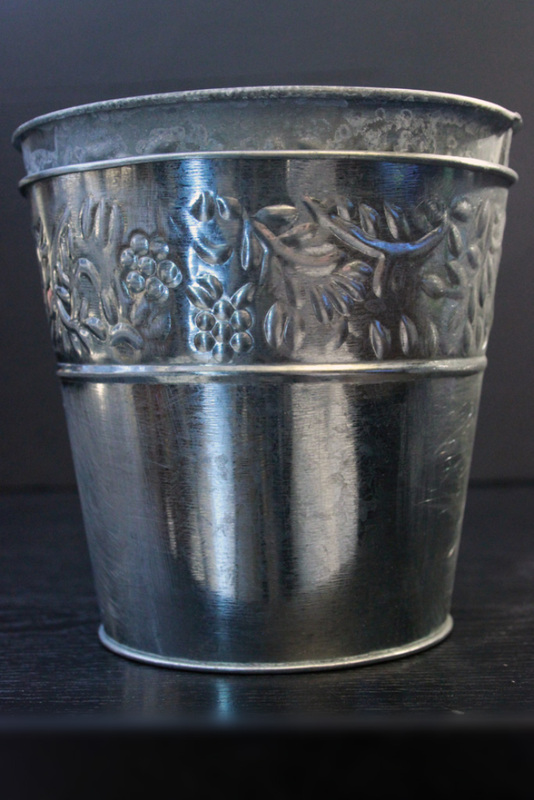 It’s just so great that we can harvest all that shiny galvanized goodness, and transform it into pieces with history! Thanks for joining me for this little experiment, and I hope you enjoy the results as much as I do. If you appreciate patinas and faux-finishes, stop by Thicketworks – I’m always cooking up some new process to transform the normal into the abnormal extraordinary! « Lovely Vintage Sea Birds with Kelp Image! Excellent question…I’ve done some Googling, and it turns out that only laboratory testing can prove whether or not something is galvanized. Since I’m not going to pay for lab testing, and I’m pretty sure you won’t either, look for the tell-tale ‘cross hatch’ pattern on the surface. It doesn’t show clearly in these photos, but in person it’s pretty distinctive. Galvanization is a surface treatment meant to discourage rust and corrosion, (ironically) and you can see the layers of material if you look closely. 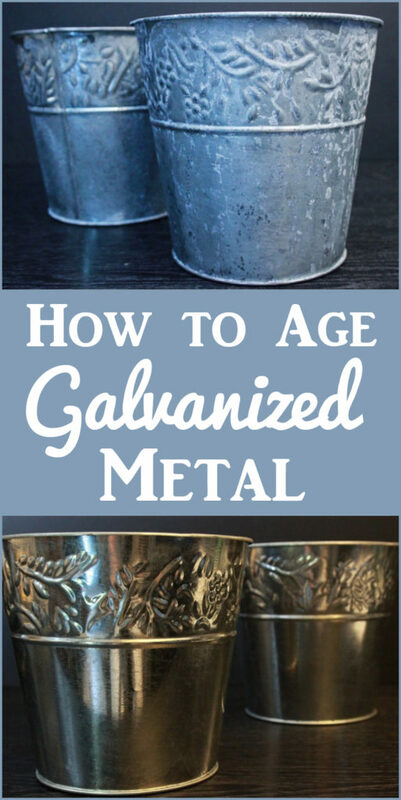 You can totally oxidize steel – just make sure it’s not stainless, and doesn’t have a clear coat. If it is coated, sandpaper will take care of it, and rust is just around the corner! Wonderful that you compared the two methods. Also you did a wonderful explanation of both processes. Hi Gail! Yay – the only thing better than an awesome comment is an awesome comment from your Hero! The only way I can muster enough patience for these techniques is to have another project in ‘waiting’ that I can focus on while the necessary time passes. Or else, if I do these things right before bedtime, SOMETIMES I can sleep long enough to let the requisite interlude elapse! Hi again Heather. Have you heard of the Miracle Grow technique? I mix about 2 tbs or more if you like with plain ole tap water in a rubber made container. Throw any copper or galvanized metal in it and let it soak over night. The copper will pick up a green patina and the shiny metal will get rusty. I always keep a tub of it at the ready. It’s fun to experiment. Hi Diana – I have heard of the Miracle Grow technique, but it’s been on my list of things to experiment with. Now I’ve got to run to the store for Miracle Grow! Thanks Diana! Hello, Heather – I tried the Miracle Gro method and it worked. Thank you for sharing. I have a couple of questions though, did you sand your metal first and did you put a lid on your container? I sanded mine and it didn’t really rust but did dull down. Also, I discovered a lid kept my dogs away from it. Just wanted to update this post with my experiences. Thanks again! How much miracle grow vs water, what is the ratio please? 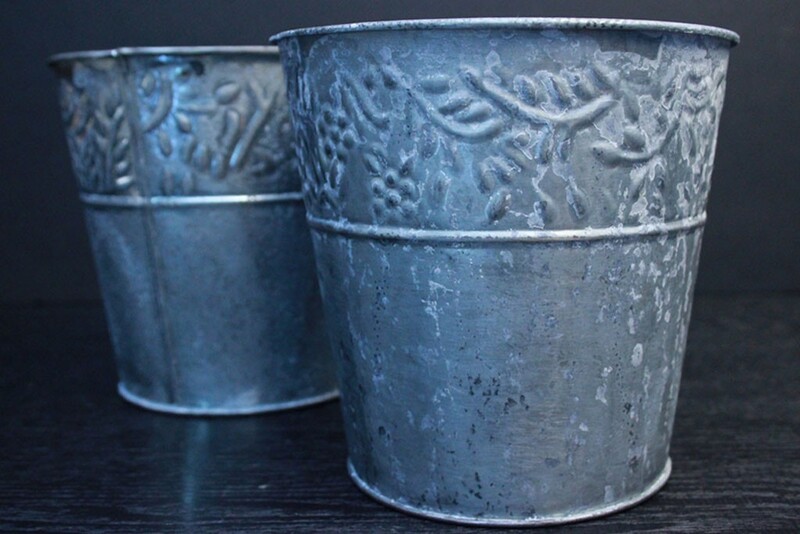 I have several pails for a wedding and it sounds like if I use a large tub with 5 gallons of water it may work best. I just don’t know how much miracle grow to add. Thanks! Tried the Lysol method and virtually no change on the Michael’s milk pail. Let it sit for 24 hours too-very disappointed! Guess I’ll try the second option with the ammonia & vinegar. Fingers crossed! Oh no!! Did you sand the pail really well first? Let us know how the second method works for you 🙂 Good luck! I may opt to use acrylic paint to simulate aging on the barely etched surfaces. Fantastic article. I am going to try the lysol method on the edges of 12 panels of metal on an antique Pie safe I just purchased. Some idiot stripped the paint off of the Wood and did not cover the the panels. 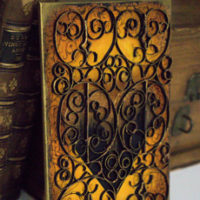 It removed about 2″ of original Patina on all 4 edges of the panels right down to a shine. I will post pics of before and after when I am done. I will be happy if it just gives a nice tapered blend. Otherwise I will either have to paint them or remove the Patina. Since I am keeping it, I would be OK with having them shiny with trace amounts of Patina. Of course I’d rather have it look mostly original. Ughh I cannot believe someone did this. Bargain at $75 so I really cannot complain no matter what I have to do. Wow! Hey John – I can understand how sad it is to lose that glorious patina – if this method doesn’t fade the shiny areas sufficiently, it might be worth stripping the entire surface of the tin panels, THEN attempting a ‘fresh’ attempt at aging them, in order to harmonize the finish. So glad you found such a treasure! Good luck! Wow – brilliant results and with little difference. I would say I might attempt the first, Lysol, method, but would be much too scared (read clumsy) to attempt the second! Thank you for your clear and precise instructions, but even more, thank you for your humor! Sure Adam, just follow the recipe and add to it in the appropriate measurements. Sounds like an awesome project, good luck! hm, I have a LOT of Miracle Grow in my home. 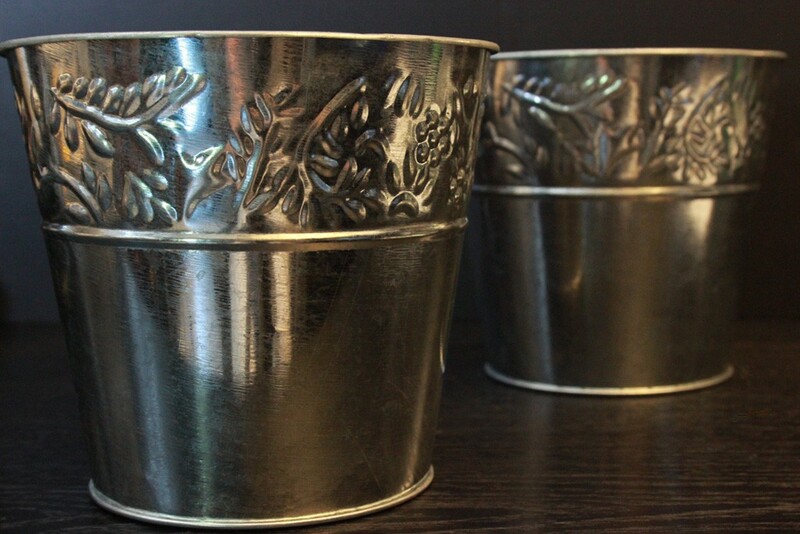 I even over dosed the flower pots yesterday to start liquidating some. I may have other uses for it here it appears, gotta a try. What a wonderful forum this is to share ideas and brain storm! I have heard that burying a sellected project in dirt for about six months will “age” it quite nicely. Although by then, it would be aged truly proper and HA who has that kind of time? Patience is a virtue that artists do not share; thankfully creativity is. Thank you for just being here. Could you clarify in the results section of the tutorial, which pail is which. Both results claim that the one in the foreground is . 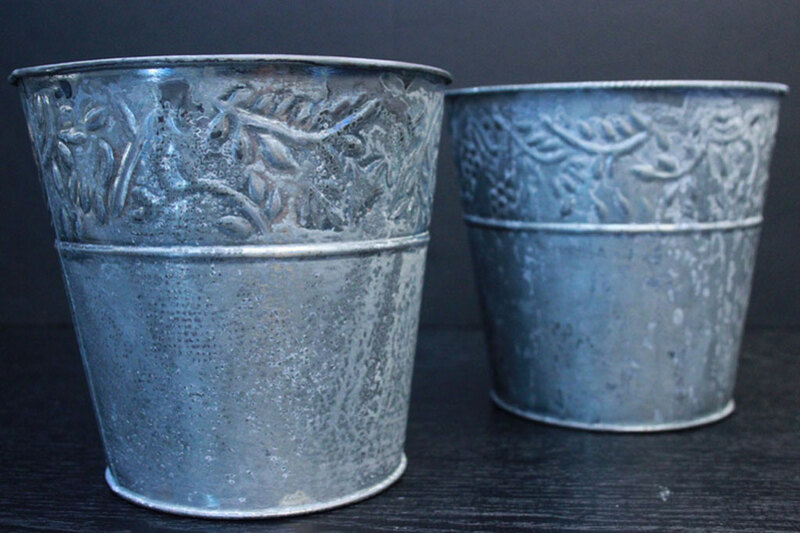 They both are 🙂 The before picture shows 2 pails, shiny and new, the after shows them both after the galvanization technique. I hope that helps. Hi Rob – and thank you for the useful info. The post has been updated to advise wearing a dust mask during the sanding procedure – good catch! just fyi…Vinegar is an Acid (Acetic Acid 3-4%) and Ammonia is a Base (Alkaline). They effectively cancel each other out, with the stronger of two leaving it’s acidic or alkaline properties. You could accomplish the same thing with one or the other, but mixing them just brings the pH closer to neutral (7.0pH). My guess is the Ammonia is the catalyst for the resultant patina, since Vinegar is such a weak acid. The Lysol Method could be replaced by Sodium Hydroxide (LYE), for a lot less money. My favorite method is Muriatic Acid, mixed with Water 1:1 and sprayed on. Much quicker…basically 5-10 minutes and you’re done. Also gives a deeper, almost rusty patina look. Hope that helps. Great Site…Lots of Info! Thanks!